As much as I would have liked to attend the Surveying & Spatial Sciences Conference in Canberra last week, I decided instead to attend for two days and present at the ANZMapS Conference in Melbourne at the end of the previous week. It was a decision I did not regret because I found it to be an event full of interesting presentations and attended by a very welcome and enthusiastic society of mainly cartographers. My presentation was primarily about my great-great-great-grandfather William Slight (pictured at left) who was highly regarded as an engraver of maps in Victoria during the period from 1855-1887. 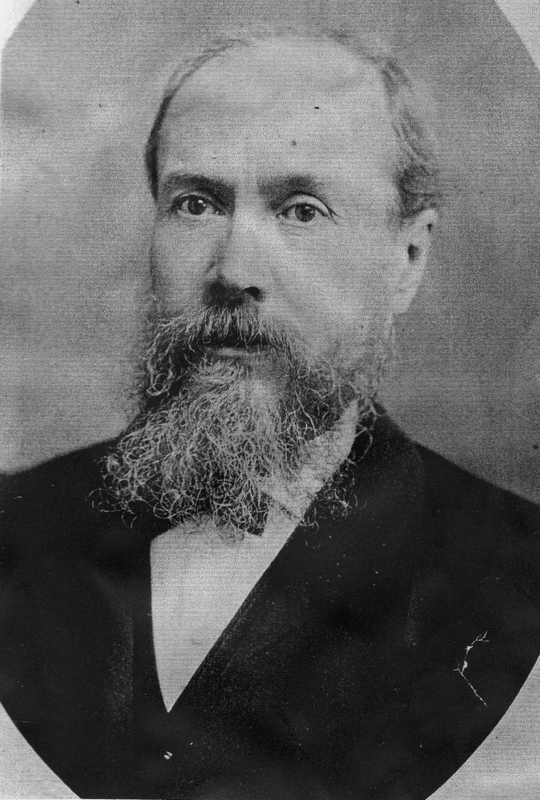 Upon his death in 1887, his eldest son James Slight (1855-1930; pictured at right) succeeded him as Chief Engraver and Draughtsman for the Crown Lands Department of Victoria. 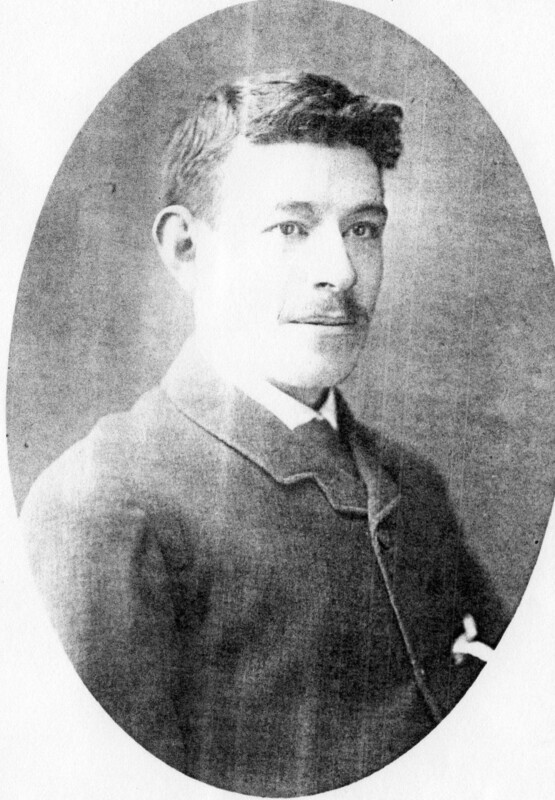 James (better known as Jim) was an all rounder who also played for Australia in the first Test Cricket match on English soil in 1880 after having umpired the first inter-colonial Australian Rules football match between South Australia and Victoria in 1879. I had hoped to tell their tale using an Online Story Map but in the end decided on a different approach. One of my main requirements was to be able to use William Slight’s best known map called Continental Australia (see below) as a basemap. 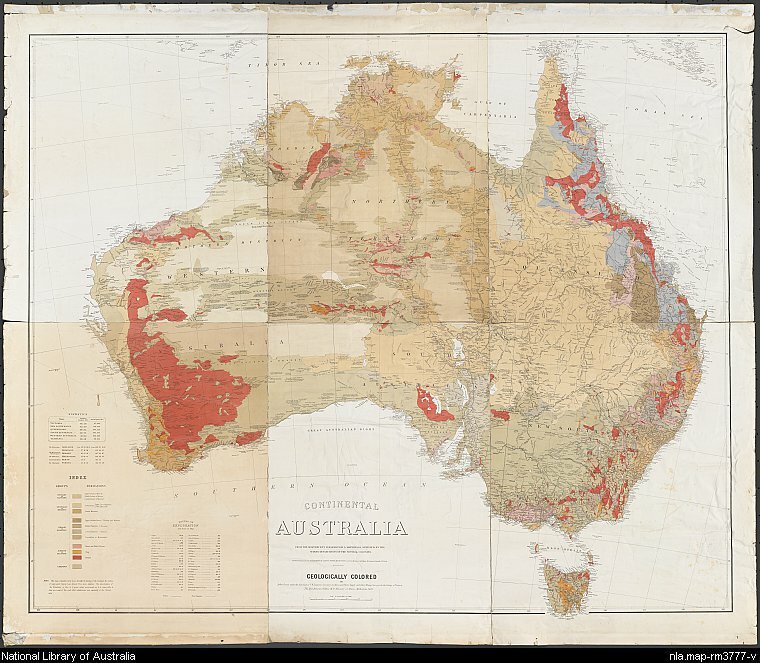 I purchased a high resolution image of the map from the National Library of Australia and it was easy to georeference using ArcGIS for Desktop. However, to make it available as a basemap in the ArcGIS.com map viewer or ArcGIS Explorer Online would have required me to publish it to ArcGIS for Server for which I do not have licensing. Consequently, I opted to do my presentation using ArcGIS for Desktop alone. To move between slides I used a Python Add-in to add a toolbar with 26 buttons (one for each “slide”). With these I was able to step through various extents from Scotland, England, Australia, USA and Colombia and turn layers and labels on and off according to my narrative with one click per “slide”. I used HTML popups to examine photos and documents like marriage certificates, death notices, a will, and newspaper articles along the way. I would not advocate ArcGIS for Desktop for more than a subset of story maps, but if you have a license (perhaps ArcGIS for Home Use) and some intermediate Python skills, not every story map needs to be online. Last night I returned from my third Esri Asia Pacific User Conference in Auckland and wanted to congratulate Eagle Technology, Esri and the NZ Esri User Group on a great event. My kick off to the conference was attending the Geocortex Essentials User Group. I’m not a user of that software but appreciated AAM and North South GIS allowing me to see their presentations and was impressed with how well both Essentials and Optimizer can be integrated with ArcGIS Server. The Plenary by Jack Dangermond, Bern Szukalski and Jo Fraley, very ably supported by Eagles’ Jay Singh and Trish Merz, and others, was as always inspirational. I enjoyed too the glimpse provided at conference closing of the Road Ahead that included ArcGIS Online geoprocessing, GeoEvents serving and configurable apps. No new product numbers were mentioned and 10.1 seemed to be treated throughout the conference as brand new (or at times just coming) so the conference as a whole was focussed on ArcGIS 10.1 and ArcGIS Online. I attended more Esri/Eagle sessions than user presentations but the latter were well attended and were all professionally presented and run. The role of the NZ Esri User Group was apparently very different at this conference than at their usual annual conference that they have run successfully for 16 years and a concern was raised by one of their number at the end about their future role. To have such an engaged Esri community over such a long period is a credit to Esri’s brand in New Zealand, so I am hoping their desire to resume a more prominent role in future NZ Esri User conference organisation, now that APUC is done and dusted, is something which can gracefully happen. My last comment is on the party which was a great chance to catch up with old friends and ex-colleagues, and to meet some more NZ Esri users. It had a very entertaining hostess (Jackie Clarke) and somewhere around 10 Elvi amongst the wannabe Melbourne Cup racegoers who kicked on after this nation restarted. Would I go to another NZ Esri User Conference? You bet! I’m long overdue for making my first blog post in a very long while, so I hope no one has been looking for it daily. Since starting to trade as PolyGeo in late July, I have been doing the odd paid job but have mostly been preparing for the Queensland Surveying & Spatial Conference (QSSC) 2012 that took place in Brisbane last week. My role in the conference was principally to run two workshops on OpenStreetMap and OGC Web Services respectively, but I also co-presented with Steve Jones of the Queensland Department of Science, Information Technology, Innovation and the Arts (DSITIA) on the Online Environmental Mapping Service (OEMS) Redevelopment Project. The latter involved me writing lots of Python/ArcPy code for a “maps on demand” application that requests maps to be created as PDF files via a Geoprocessing Service using a multitude of business rules. For the OpenStreetMap workshop there was opportunity to investigate the ArcGIS Editor for OpenStreetMap, or to use Potlatch to edit OpenStreetMap in a web browser, by following a short exercise that I put together, but I thought the star of the show was 1Spatial’s Andrew Harvey who has made many contributions to OpenStreetMap around Sydney. I was also very impressed by Nick Lawrence’s use of slides from David Dean after the latter could not attend, the OpenStreetMap Great Britain (OSM-GB) project presentation by Brett Madsen and an overview of the Esri Community Maps Program by Len Olyott. When it came to OGC Interoperability, we worked to an ambitious idea of seeing how many client and server products we could use to test WMS, WMTS, WCS, WFS, WFS-T, WPS and CSW. It was only WFS-T and WPS that we fell short on, and this was largely due to the time factor. With much support from Denise McKenzie of the OGC ANZ Forum who gave an OGC overview, 1Spatial Australia (Brett Madsen), Esri Australia (Len Olyott & Craig Sandy), and Intergraph Australia (Defkalion Kaligridis & Anton Van Wyk) we were able to provide participants with written exercises to use the client(s) of their choice from Quantum GIS, GeoMedia Professional, Intergraph ERDAS Imagine and ArcGIS for Desktop to consume WMS, WMTS, WCS, WFS and/or CSW from Intergraph Geospatial Portal and APOLLO Server, Safe Software’s FME Server, Esri’s ArcGIS for Server and open source MapServer, GeoServer and GeoNetwork. Matthew Fry of Mipela GeoSolutions also provided us with WMS and WFS services from the X-Info Suite. All in all it was a great workshop day and conference!